Anyone who thinks farm runoff is strictly a rural issue should visit Mankato. Rivers surrounding this city of more than 40,000 people are heavily polluted, largely thanks to agricultural runoff, and taxpayers are shelling out growing amounts of money to deal with it. Mankato officials want the state to do more to stop farm runoff, which is a major source of water pollution. When DFL Gov. Mark Dayton holds another town meeting on water quality Wednesday night in Mankato, and he's likely to get an earful on the topic. City Manager Pat Hentges said he wants to tell the governor something's missing in state water-pollution efforts. Mankato has done its part, Hentges said, and it's only facing more impending costs relating to water pollution. "We've spent $25 million alone, just on phosphorus management of our water," he said. Another recent expense was a $400,000 project to remove sediment from storm water ponds. 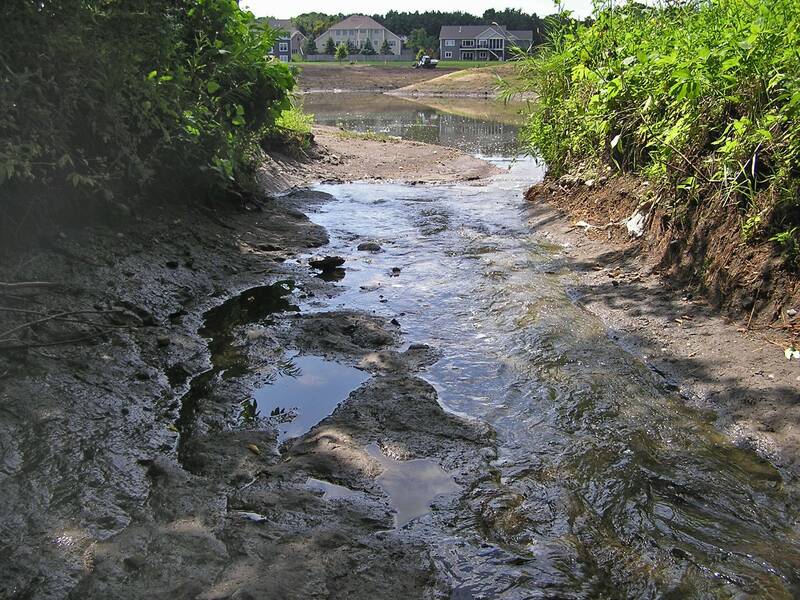 Rural water carries a lot of sediment, which fills the ponds and increases flooding risk. Drinking water is another concern. Three-quarters of Mankato's drinking water comes from shallow wells in sandy areas near the Minnesota and Blue Earth rivers, Hentges said. Both streams are polluted with nitrate, among other things, mainly from cropland. 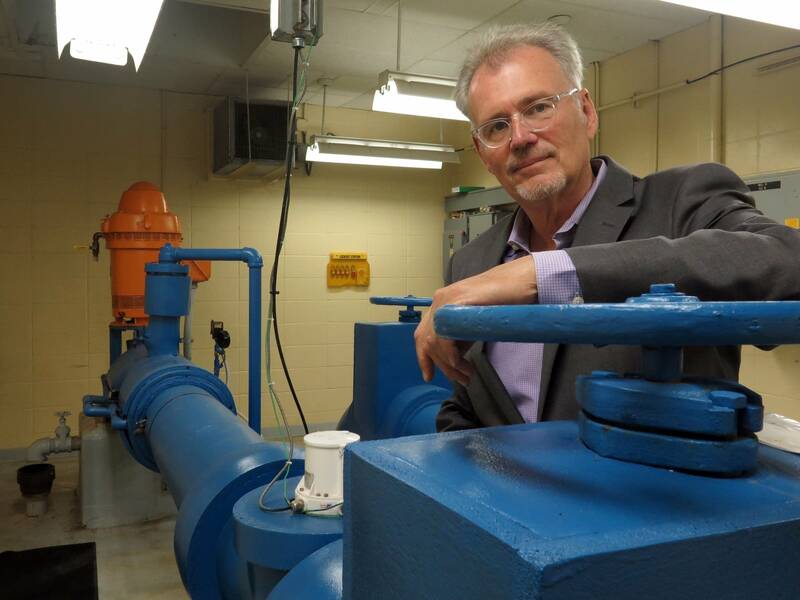 To fix that, Mankato will need either new wells or additional water treatment, Hentges said. He said the state has been far tougher on city wastewater than farm runoff, and wants the governor to put more state money into programs that help farmers reduce runoff. Rebecca Flood, the Minnesota Pollution Control Agency assistant commissioner, acknowledges that state water regulators treat cities and farms differently. But the state has little choice, she said. "The Clean Water Act when it was passed in 1972 specifically exempted row crop agriculture from Clean Water Act regulation," she said. Still, Flood said the state is addressing farm runoff. She cites the buffer law that requires pollution-catching grass strips along public waterways. Minnesota is also launching new fertilizer regulations aimed at reducing nitrate levels in surface and ground waters. Many environmentalists and water-quality experts argue that relying on farmers to reduce runoff voluntarily isn't working, and water pollution is getting worse in Minnesota. The result: cities like Mankato often face big bills to get rid of pollution that arrives in farm runoff from far away. But southern Minnesota farmer and trucker Steve Rose said he thinks most farmers are taking steps to clean up runoff from their land. He has installed grass waterways and terraces on his land to reduce erosion and keep soil on his land. "The land is what we live off here," Rose said. "You have to take care of your land first. You just can't live for the day. It has to be forever. And we must take care of it."